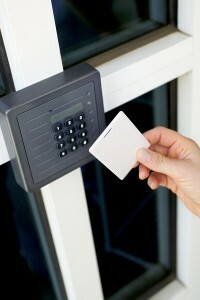 Healthcare facilities need a great deal of security, including controlled access. The healthcare industry is brimming with a need for security systems. Not only are there a great many incredibly valuable machines, there are also vulnerable parties that need protecting. Prescription drugs are also something that needs to be secure in a hospital. As healthcare facilities evolve and grow, so do their security needs. Today we’re going to be talking about some of those needs and how they can be met. Are you ready to learn more? Let’s get started. Controlled access is of paramount importance for healthcare facilities. There are a lot of restricted areas in hospitals. From pharmacies to pediatric wings, there are a lot of places where pedestrians as well as certain staff members simply aren’t allowed to go. This creates a huge need for security. The use of mobile applications and integrated security systems allow for a secure facility. One of the biggest challenges with healthcare facilities is the fact that they are open at all times. However, an integrated security system can give administrators the power to program locks and doors to open at particular times and for particular people, ensuring smooth transitions in shift changes and other needs. An integrated system can be applied to multiple avenues, allowing for one solution to a myriad of problems. They can also alert staff members to alarms concerning incorrect access attempts, breaches in protocol, and other issues. Protecting the assets and personnel in healthcare facilities poses a challenge, but it can be done with the right system of security. Surveillance is exceptionally important for healthcare facilities as well. When an emergency occurs, administrators need to make quick decisions about how they plan to respond to the situation. When there is a surveillance system integrated into the security system, it is much easier to respond effectively and efficiently. Emergency situations in hospitals and other healthcare facilities are often very critical situations. A loss of control could lead to a loss of life, making the smoothness of the surveillance system absolutely critical. This entry was posted on Thursday, June 9th, 2016 at 1:33 pm. Both comments and pings are currently closed.